OUT OF THE WAY TAPAS BAR WITH A CERTIFIED SUMILLER (SOMMELIER)! We are in Barcelona for a week to do two things: to attend a Spirituality and Creativity in Management Conference (SCM2015) at ESADE Business School and, well, to be in Barcelona. We are staying a bit out of town to be near the campus (which is very close to the FC Barcelona Stadium) but otherwise, a fairly nondescript area. 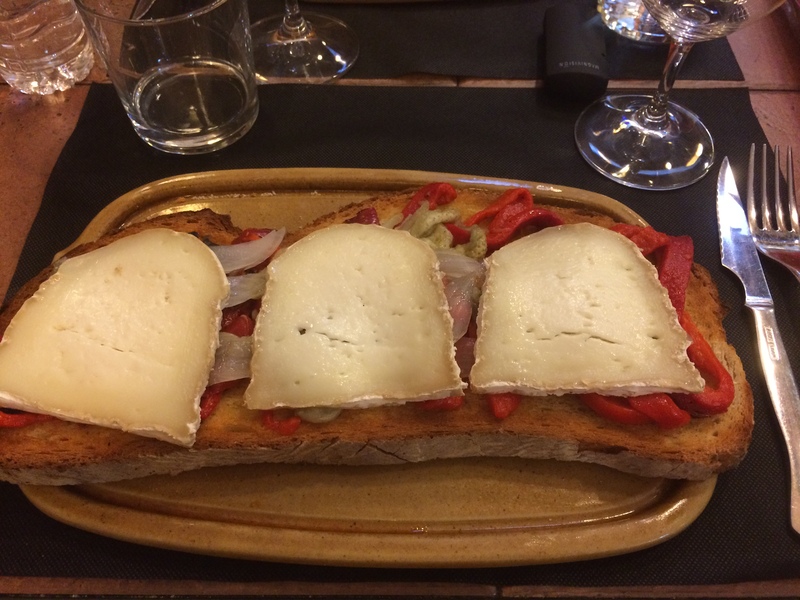 We had been going toward the Barri Gotic (LINK) to eat, but the other day, we decided to check out something close to our AirBnb apartment. 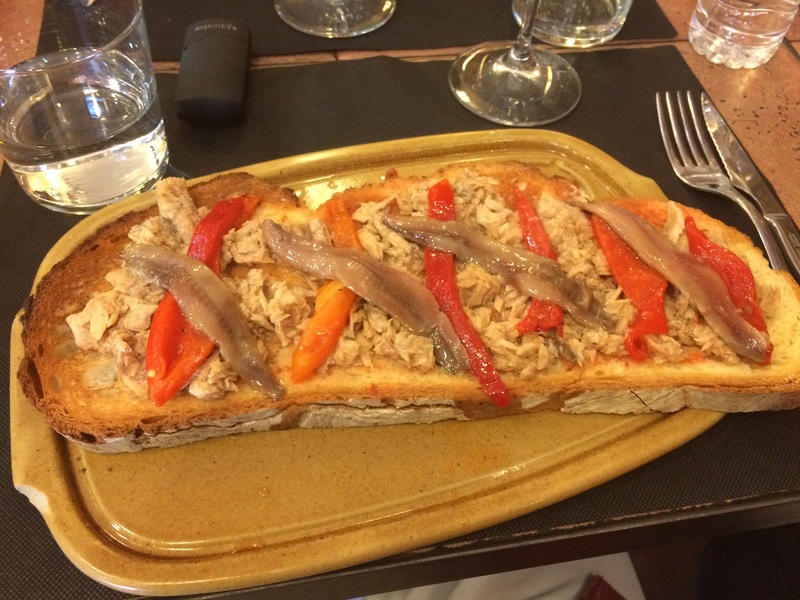 The hosts recommended El Cóm (LINK), a very small and very ordinary looking tapas bar two blocks away. So we went with another couple, friends from France who are attending the conference. 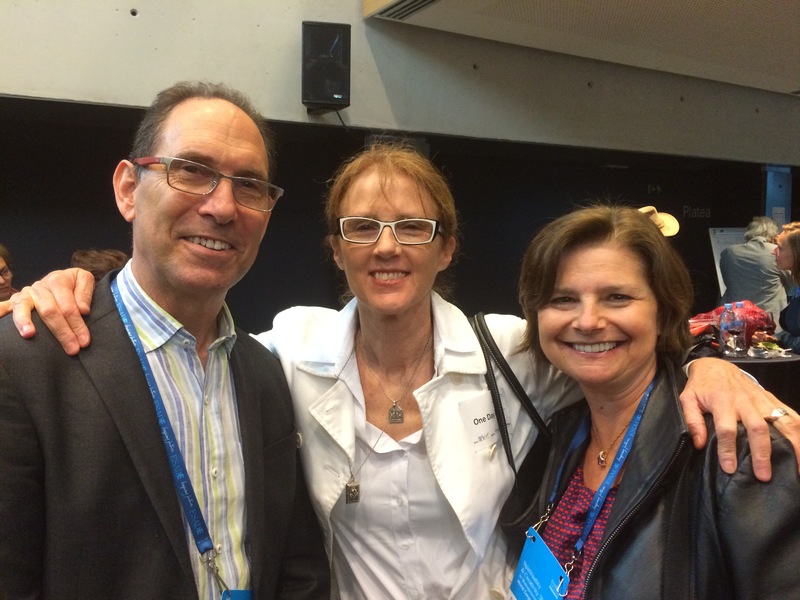 Friends from France – Richard and Kamala – with Dorianne. We get there and look at the menu and are told that the place is closing in half an hour. The menu looks good, so we order and we speak to the “waiter” about wine. He lights up. Now, he is speaking Spanish and my wife is somewhat conversant and one of our French friends is less so, and me, I’ve got Mexican restaurant Spanish, so nothing there. 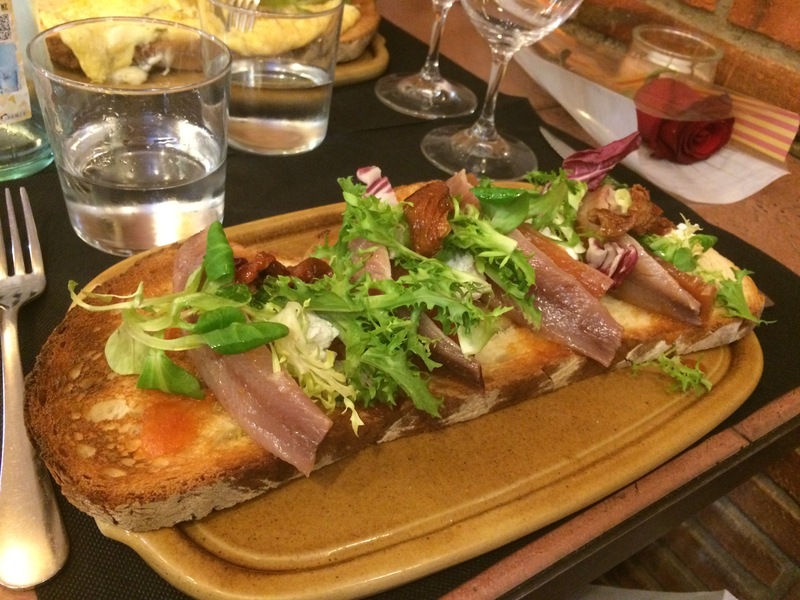 Dorianne asks about an Albarinõ, which is listed on the menu as not available. The “waiter” tells us that the vintage has run out, and then leaves. 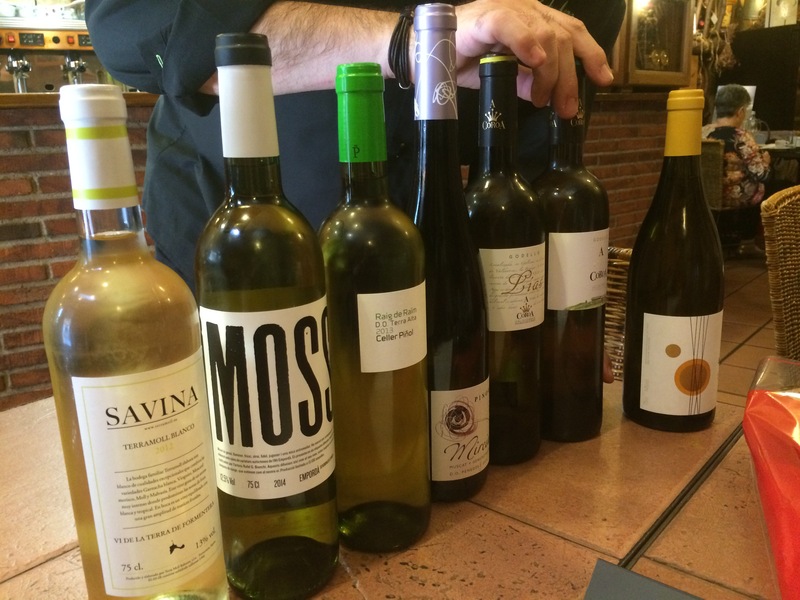 He returns with six bottles of vino blanco, then leaves and comes back with one more. 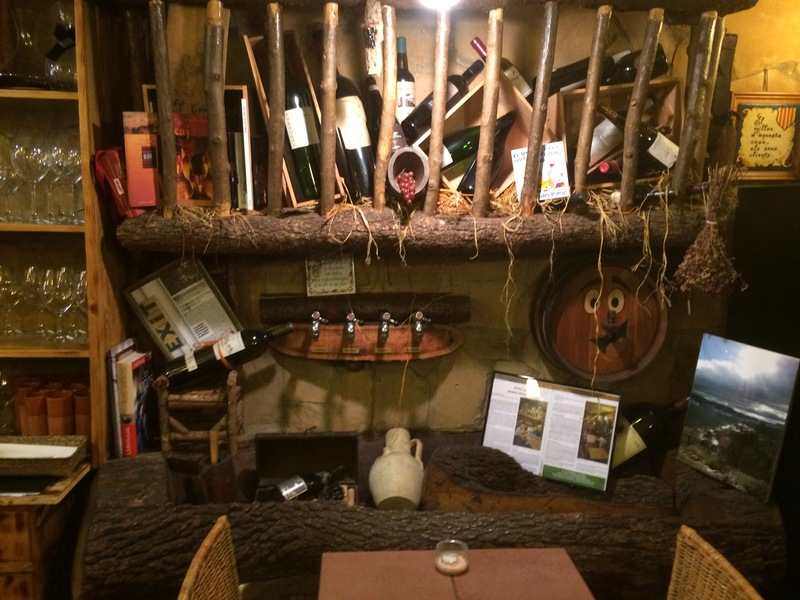 At this point, we inquire a bit more deeply (noticing the many wine bottles around the restaurant in prominent places). 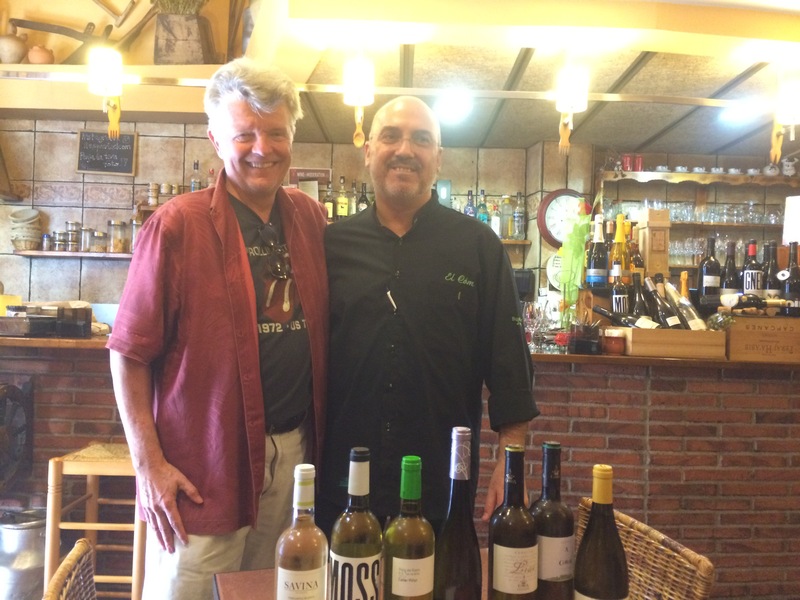 It turns out that our “waiter” is Josep Valiente, Sumiller (Sommelier), a certified wine expert. Now I am paying attention. Me and Josep and the Wines. He describes each bottle (most of which we do not understand). 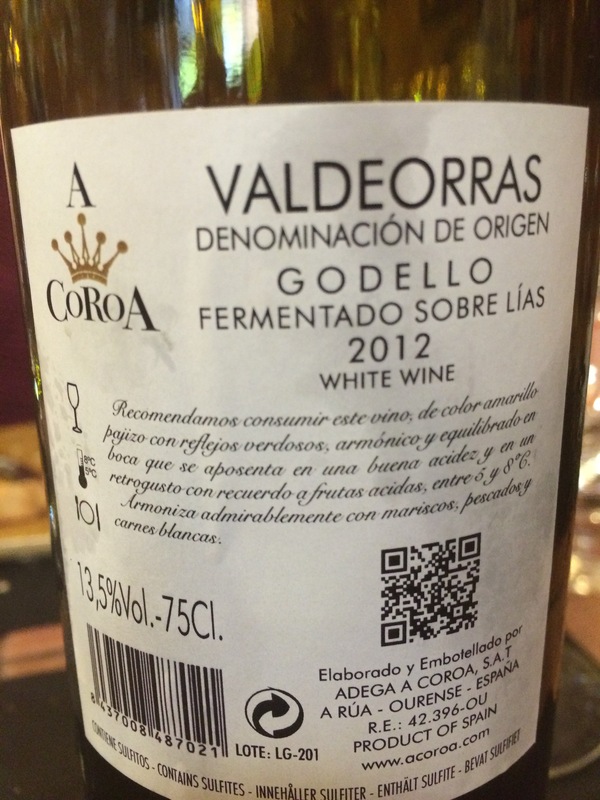 I spot a Godello (LINK) varietal on one of the bottles, and, having just read about that varietal, I ask for that bottle. Josep opens it and we are transported to white wine heaven. 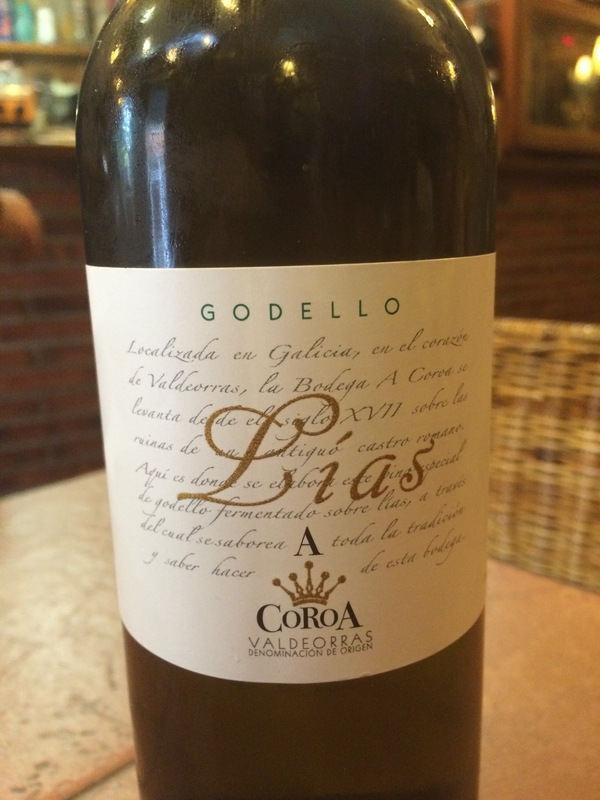 It is a 2012 Bodegas A Coroa Lias Godello, from Valdeorras, Spain (LINK). A beautifully crafted wine that is balanced, buttery, well structured, yet very very smooth. Hints of pear and spice with a nice floral nose and a smooth finish. Josep came over with his smartphone and showed us photos of a vineyard he is growing in the area. He said that he is growing several varietals. I showed him photos of our wine co-op (LINK) in California. Oh, and the food was amazing. Oh, and we stayed for an hour and a half. Oh, and we are going back on Sunday. It is a wonderul wine.